Water based and quick drying. Neutralises rust and forms a tough black coating which can be over-coated with a solvent based primer to top coat. Prevents rust re-occurring. Coverage: 2-3m2 per 250ml. 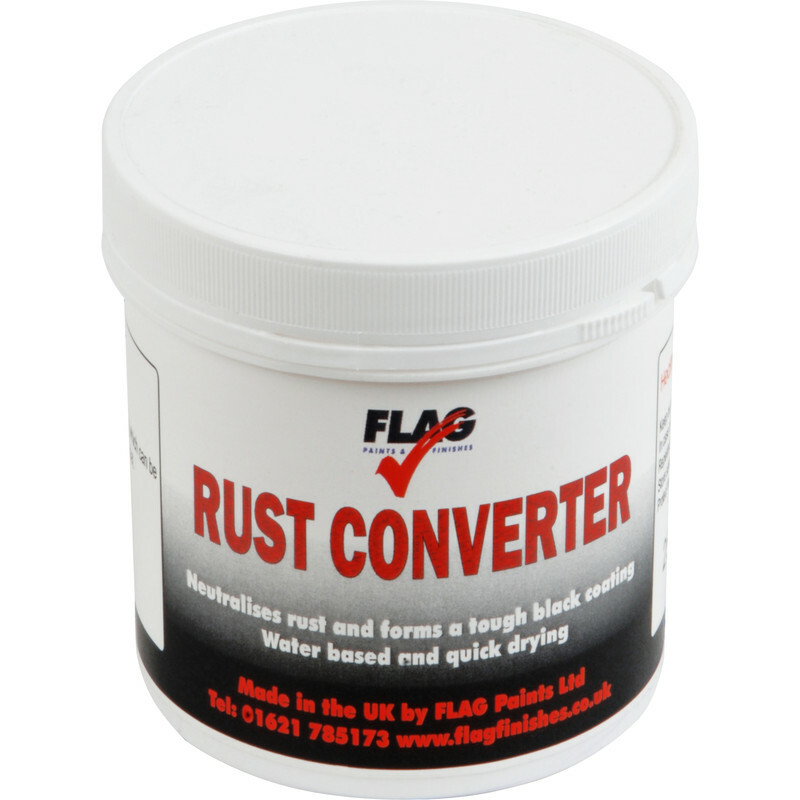 Rust Converter 250ml is rated 4.9 out of 5 by 19. Rated 5 out of 5 by Vili from Brilliant staff. convert the rust to black coated Brilliant staff. convert the rust to black coated surface. Easy to apply and fast drying. Rated 5 out of 5 by Chalky fareham from Good paint I bought 1 to try and its very good so will get more. Rated 5 out of 5 by Mayhem67 from Great rust converter I bought this product recently for a classic mini project, and must say it works very well. It paints on very easily and coverage is great. I would definitely use this again and recommend to anyone thinking of buying this product.